Dubai: Setting up the world’s first commercial hyperloop, a super high-speed transport system, in the UAE is going to cost approximately Dh1.4 billion to Dh22 billion, according to a top executive. The chairman of Hyperloop Transportation Technologies (Hyperloop TT), Bibop Gresta, revealed to state news agency WAM that the hyperloop capsule that will be set up in Abu Dhabi has already left the assembly plant in Spain to the southwestern region in France. Gresta said the capsule will be assembled, tested and optimised in the French city of Toulouse before it will be transported to the UAE. It was earlier announced that the supersonic train system will be constructed between Abu Dhabi and Dubai in order to considerably reduce the travel time between the two emirates. The whole length of the link is estimated to be around 150 kilometres. The first phase of the project, involving the construction of a 10-kilometre track in Abu Dhabi, is expected to be in place next year. The hyperloop is a vacuum-tube transport system that can propel passengers at speeds more than 1,000 kilometres per hour. Hyperloop TT had earlier secured a deal for the construction of a hyperloop line in UAE. 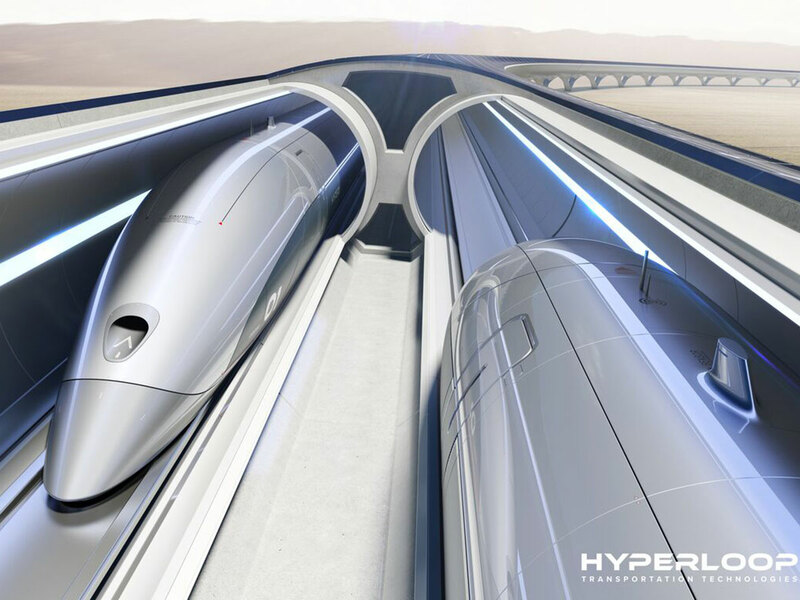 In a memorandum of understanding with Aldar Properties, Hyperloop TT will construct a ten-kilometre line within Al Ghadeer in the UAE capital. “It was a far-fetched dream, but we are all excited now that it’s a dream coming true in the UAE in 2020,” said Gresta. Gresta said the cost of the project is estimated to be around $20 million (Dh73 million) to $40 million (Dh147 million) per kilometre. That means setting up the whole 150-kilometre system could cost up to Dh22 billion. However, Gresta said any money put into the mega project can be recouped in eight to 15 years. "An average cost generically comes between $20 million (AED73 million) to $40 million (AED147 million) per kilometre," Gresta told WAM. "When you build it in the desert, it is different from building it in Switzerland. However, the second question we need to ask is how long does it take to recoup the investment? This is a topical question because no one transportation system on the ground recoups its investments. They always need subsidy." "But in hyperloop, we can recoup the investment in 8 to 15 years; it will be paying for itself and then it will be generating profits for the country. So it is not only fast but also very efficient."